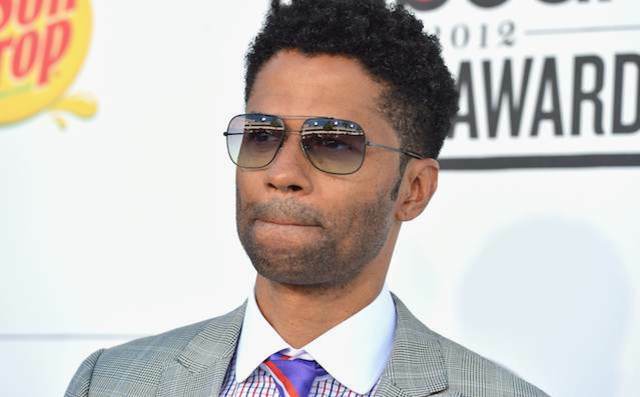 (ColorLines) -- R&B singer Eric Benet is using an interesting strategy to promote “The One,” his first independent album. He is selling tank tops that exploit skin color division among black women. For $19.95 plus tax and shipping costs, his fans can choose a top that bears the name of his latest single, “Red Bone Girl,” or an older effort, “Chocolate Legs.” The limited edition shirts appear side by side on his website alongside bright red “BRAND NEW!” stamps. Clearly, there is nothing “BRAND NEW!” about using skin color to create or sustain buzz. Last year we saw a “Light Skin vs. Dark Skin” club night in Columbus, Ohio. Atlanta-based direct-to-DVD filmmakers Nico Woods and Rod Hollimon earned a spot in the ratchetness hall of fame when they dropped “The Truth About Light Skin Vs. Dark Skin: Ignorance or Orchestrated?” in 2009. And then there’s the #teamlightskin and #teamdarkskin Twitter memes, which don’t generate revenue but certainly pay participants in the currency of attention. The situation: He meets a “honey” whose reputation “ain’t squeaky clean,” but within a week he’s willing to claim her because of her “devil mind and her angel face.” In the chorus he sings, “She’s my red bone girl./Bittersweet but she’s my world./Coffee cream, thick and lean, my red bone girl.” In short, he’s sprung by a woman who just so happens to be the color of half and half. While Benet attempts to describe skin tone within a constellation of this “girl’s” other features, featured rapper Lil Wayne ruins the singer’s decontextualized illusion. The famously colorstruck MC who authored the line, “Beautiful black woman, bet that b#@ch look better red…,” contributes his shopworn “I like ‘em light skinned/lighter than a feather” line, along with a new riff on the same theme—“I’m high and my girl high yella…’” Of course we all know that from India to the Philippines, Ghana to the Dominican Republic, England to the United States of One Drop, there’s a higher premium on pale skin, particularly for women. Lil Wayne’s verse celebrates white supremacist beauty standards and obliterates Benet’s feeble effort. I won't be supporting this twerp...nope!